I love sweaters. Cozy, comfy, sweaters. Whether they be a cardigan, pullover, or vest, sweaters are a very practical option for this time of year when most days the mornings are chilly, and by mid-afternoon it's warm and sunny. But just because they are practical, they need not be boring. 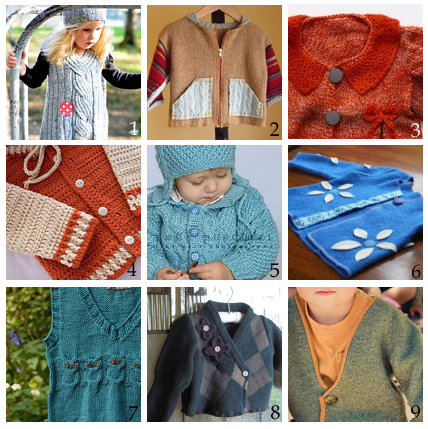 From gorgeous hand knits, to one-of-a-kind upcycled's, these handmade sweaters will surely keep your little ones both warm and fashionable this Fall.